Angel and two of his daughters celebrate his exoneration. "Congratulations, Angel! Free at last!" Angel and one of his sons take a stroll. With his daughter at his side, Angel Echavarria talks to reporters after his May 18 bail hearing. Angel enjoys his first meal after his release: lobster dinner at Porthole Restaurant in Lynn, Mass. "Eyewitness misidentification is the greatest contributing factor to wrongful convictions proven by DNA testing, playing a role in more than 70% of convictions overturned through DNA testing nationwide." Arrested in 1994 for a murder he always maintained he didn't commit, convicted and imprisoned for 21 years before being exonerated, Angel Echavarría celebrates his one-year anniversary of freedom and embraces life with a new marriage and renewed relationships with his five children. WALTHAM, Mass. — How does a man who was exonerated after serving 21 years of a life sentence celebrate his first year of freedom? In Angel Echavarría’s case, by getting married. Just a week before the first anniversary of his exoneration, Echavarría, 49, wed his former girlfriend, Lilliana Comery. The two had dated as teenagers but lost touch decades ago, before Echavarría was imprisoned. They reconnected last year after his release. They didn’t have much money to spend on a big celebration and wanted to keep it simple. One of her friends hosted the reception at her home, complete with a three-layer cake and gifts. The wedding was the cherry on top of a year of joy, anxiety, change, public appearances and many dental appointments for Echavarría. Last spring, following two days of a hearing on Echavarría’s motion for a new trial, Superior Court Judge David A. Lowy overturned Echavarría’s conviction for a 1994 murder in Lynn based on ineffective assistance of counsel and also expressed his “deep personal concerns” about the conviction. On June 15, 2015, Essex County prosecutors announced they would not appeal Lowy’s decision or retry Echavarría. The original trial in 1996 had been marred by an inept defense attorney and unreliable eyewitnesses. No physical evidence connected Echavarría to the crime. But even though the trial judge immediately threw out the jury’s “guilty” verdict for his co-defendant, Echavarría’s conviction stood for 21 years. It was in 2005 after several failed appeals and requests for help to various nonprofits working on wrongful convictions that Echavarría connected with the Schuster Institute for Investigative Journalism at Brandeis University and its director, investigative journalist Florence Graves. Echavarria’s case became the first for the Institute’s Justice Brandeis Law Project, which had just opened its doors in 2004. A weekly ritual of Sunday evening phone calls from Echavarría to Graves began, and continues to this day. Convinced of Echavarria’s likely innocence by the Justice Brandeis Law Project’s meticulous investigation, the Massachusetts Committee for Public Counsel Services (CPCS) appointed attorney Leslie O’Brien to the case in 2008. In 2010, O’Brien filed a motion for a new trial, citing, among other points, evidence uncovered by the Justice Brandeis Law Project. Echavarría has always insisted on his innocence, and for that reason, he says, he refused to even consider a plea deal prosecutors originally offered him which would have allowed him to be paroled more than a decade ago. But, Echavarría says, he simply couldn’t lie and admit he murdered someone. While serving a life sentence without the possibility of parole, he didn’t lose hope that he would someday regain his freedom. He was so confident that he would be released, he brought all his legal papers and his prized, well-worn Bible with him to the bail hearing — packed and ready to go. While it has not been without challenges, life after exoneration has been “wonderful” overall, Echavarría says. Adjusting has been a slow process, but he enjoys his newfound independence. But he’s there for the big moments now. In April, he cheered from the crowd as his youngest, Ishannis, 23, received her bachelor’s degree from Berkeley College in New York. Echavarría says he always had faith that he would be there that day. While most of Echavarría’s children live in the New York City area, where they were born and raised, they keep in touch by phone and email. Between celebrations and reunions, Echavarría busily furnished himself with the basics of life as a free man. With help, he was quickly set up with an ID, a bank account, clothing — and of course, an iPhone. When he was first released, still on a GPS monitoring bracelet and awaiting the prosecutors’ decision, he began living in court-sanctioned housing in a group home in Lynn. There, he was able to lean on nearby friends, volunteers, social workers and members of his new congregation at a nearby church. Then Lilliana came back into his life. The two had dated as teenagers in New York, and their families had been close, even introducing the pair in the 1980s. In 2015, when Echavarría was released, she heard the news from relatives and began asking about him. Echavarría first called her just a week after his release. A few months later – the day after Christmas – he was on the road to visit her. After two decades of limited prison dental care, Echavarría emerged with gum disease and missing teeth. The pain was so intense at one point, he said, that he couldn’t even brush his teeth. He said that the doctors in prison gave him antibiotics for his gum infection, but for the most part, treatment consisted of pulling his teeth. Fortunately for him, Mary Winston McCarriston, a friend of Anne Driscoll, a Schuster Institute senior contributing reporter who worked over the course of ten years investigating Echavarria's case, stepped in after his release and found local dentists who donated extensive dental work to Echavarría. Dr. Fern Selesnick of Marblehead Dental and Drs. Simon Bernstein and Jeff Li of Perico in Swampscott coordinated to provide Echavarría dental implants. In fact, they went “above and beyond,” Selesnick said. She added that the dental implant company Straumann and Precision Craft Dental Laboratory in Rhode Island also donated their services to help replace Echavarría's teeth. Echavarría has had almost a dozen appointments since last August, with a few more to come. But he is now pain free, he says. Although a reserved man by nature, Echavarría recognizes the importance of sharing his story to educate the public about deficiencies in the criminal justice system that can lead to wrongful convictions. In October, Echavarría and Graves discussed these systemic issues and Echavarría’s personal experiences as the culminating event of a local high school’s summer education program. Students at Waltham High School listened to the first season of the podcast “Serial” and returned to school in the fall, ready to discuss and write about it. At the event in October, they lined up to get Echavarría’s autograph and have their pictures taken with him. 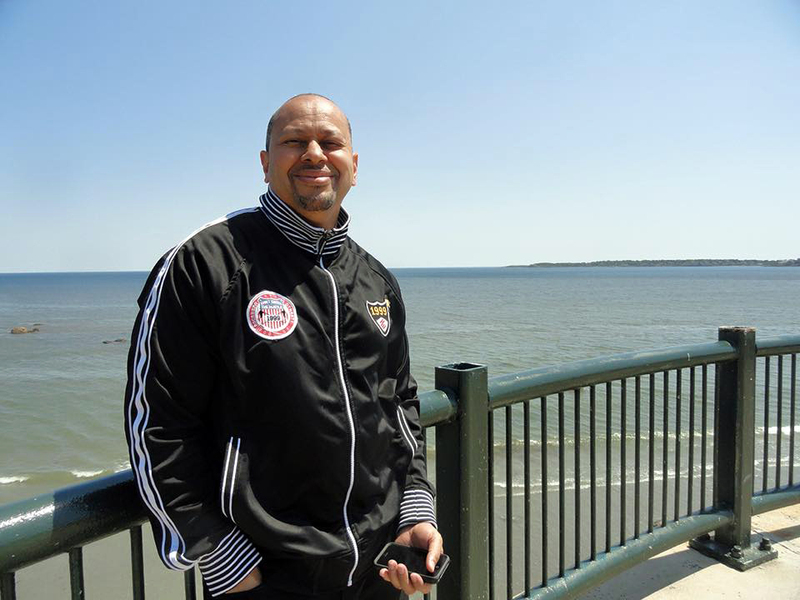 In April, he got more standing ovations in San Antonio, where he was honored at the annual Innocence Network conference, along with more than 100 other exonerees. (The Innocence Network is a group of nonprofit organizations dedicated to freeing the wrongfully convicted.) The exonerees became a meaningful support group, as Echavarría learned from his peers successful ways to cope with the trauma of incarceration. He plans to attend next year’s conference in San Diego, another opportunity to reconnect with this newfound community. Echavarría has also inspired more than one person to study the law. “Over the years, he was my inspiration to go to law school,” said Comery. She has completed her bachelor’s degree in criminal justice, and still hopes to complete a law degree. “I used to say that when I became an attorney I was going to get him out ... I always knew he was innocent. I knew the type of person that he was." Lindsay Markel, a former assistant director at the Schuster Institute, also cites her work on Echavarría’s case as the inspiration for her to become a lawyer. Last spring, she graduated from the University of California, Berkeley School of Law, and now works as a public defender in New Orleans. Echavarría still keeps in touch with her, and even spent Christmas with her family, he said. So what’s next for Angel Echavarría, exoneree, husband, father and soon-to-be grandfather? He says he’s thinking of going back to school. 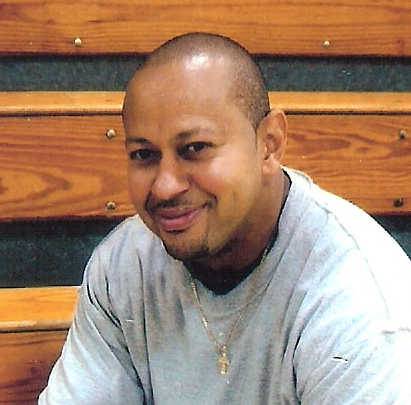 In prison, Echavarría mastered English, earned his GED and took computer courses. However, prison officials limited his opportunities to take more classes. Because he had been sentenced to life in prison with the possibility of parole, opportunities to take classes were given to prisoners with shorter sentences, he said. He’s still interested in computers, and says he could see himself fixing them for a living. Now, he’s just happy to be free. 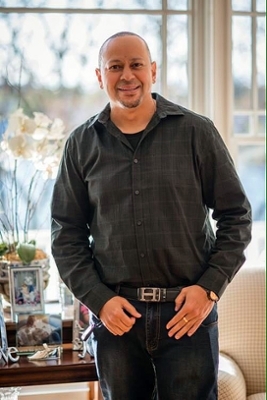 Imprisoned for 21 years in Massachusetts for a crime he always maintained he did not commit, Angel Echavarria was released at his May 18, 2015 bail hearing after Judge David Lowy vacated the murder conviction. The video below shows the reaction of those attending the hearing. Echavarria was exonerated June 15, 2015. Angel Echavarria and Florence Graves, founding director of the Schuster Institute for Investigative Journalism, are interviewed on WGBH "Greater Boston." SALEM, Mass – Essex County District Attorney Jonathan Blodgett announced June 15 that his office will not retry Angel Echavarria for murder. “Given the lapse in time, our inability to locate witnesses and the lack of forensic evidence not affected by time, it is not feasible to re-try the case at this time,” District Attorney Blodgett said in a press release. "I'm very happy," says Echavarria, 48, "and grateful to the Schuster Institute and my lawyer, Leslie." Leslie O'Brien, Echavarria's attorney since 2008, said, "This is one of the best moments in my 31-year career. I just couldn't be happier or more pleased for Angel." Echavarria was arrested in 1994 for a murder in Lynn, Mass. He was convicted in 1996 and given a life sentence without the possibility of parole. After 21 years behind bars, he was released May 18 on a GPS-tracking bracelet after Superior Court Judge David A. Lowy allowed his motion for a new trial April 30. "We are deeply grateful to all the dedicated staff and student researchers who have worked tirelessly to prove Angel's innocence," says Florence Graves, founding director of the Schuster Institute for Investigative Journalism at Brandeis University, which investigated Echavarria's case over the course of 10 years. "It seemed obvious to us from the beginning, based on much of the same evidence and stark inconsistencies cited by Judge Lowy, that Angel had not gotten a fair trial. "Over time, through our deep investigation, it became even clearer to us that Angel was almost surely innocent. None of the so-called evidence fit. And without even factoring in the new science about the unreliability of eyewitness evidence in general, the eyewitness evidence in Angel's case didn't square. It was extremely shaky and very inconsistent." "No words can explain this moment. I've been waiting for my whole life," wrote Ishannis Lopez, 22, the youngest of Echavarria's five children, after the hearing news of her father's exoneration. "It took 21 years, but finally some justice was done. There's nothing of equal value that will compensate the 21 years lost from his life and all of his loved ones. I'm very grateful for every single person that has dedicated their time to help my father in many different ways." In his decision allowing Echavarria's motion for a new trial, Judge Lowy referenced his "deep personal concerns regarding factual innocence." The Commonwealth of Massachusetts’ case relied on the eyewitness testimony of the victim’s brother, who could not understand time, height, distance, day of the week; what town he was in; didn’t know his own age; had a history of marijuana abuse; and had been drinking on the night of the murder. As Judge Lowy noted in his decision, the witness “demonstrated a marked lack of mental acuity over the course of trial." The eyewitness described the shooter as a 20-year-old, clean-shaven Puerto Rican male with a “stocky” or “chunky” build. Echavarria was a 27-year-old Dominican who was 5’10”, weighed 135 pounds and had a full mustache at the time of his arrest 10 days after the crime. Judge Lowy cited in his decision expert testimony presented at Echavarria's evidentiary hearing in December that "there are significant differences in sounds and in meanings of words between Dominican and Puerto Rican accents," and that "the perpetrators spoke enough words such that somebody familiar with the Puerto Rican accent would accurately have been able to distinguish whether their accents were Puerto Rican." No physical evidence connected Echavarria to the crime. In 2010, DNA testing was performed on telephone wires the shooter purportedly used to tie up one of the trial witnesses. The DNA of at least two individuals was detected on the wires, and Echavarria was definitively excluded as a contributor. Citing numerous examples, Judge Lowy based his decision allowing Echavarria’s motion for a new trial on the ineffectiveness of Echavarria’s trial attorney, Charles H. Robson. Robson’s performance, the judge wrote, "fell measurably below that which might be expected from an ordinary fallible lawyer." He also cited the fact that Robson “had complaints pending against him from the Board of Bar Overseers” at the time of Echavarria’s trial – unbeknown to Echavarria. Several months after Echavarria's conviction, the Bar Counsel commenced proceedings against Robson, who was suspended from the Bar in 1997 for three years. The Schuster Institute for Investigative Journalism investigated Echavarria’s case over the course of 10 years, unearthing valuable evidence that helped lead the judge to grant an evidentiary hearing last year. The Committee for Public Counsel Services assigned attorney Leslie O’Brien to Echavarria’s case in 2008. Free for the first time in decades, Echavarria is deciding where to live and what to do with the rest of his life. A former DJ, he had little opportunity for job training behind bars as an inmate with a life sentence. His friends and family have been raising funds to help Echavarria get back on his feet through the crowdfunding site YouCaring. A court hearing previously scheduled for 2 p.m. today, when the prosecution was expected to announce its decision, has been cancelled. Angel Echavarria enjoys some fresh air on a Sunday afternoon. After being incarcerated in Massachusetts for 21 years for a murder he has always insisted he did not commit, he was released May 18 at his bail hearing. At his next hearing in Essex County Superior Court, scheduled for June 16 at 2 p.m., prosecutors are expected to announce whether they will retry Echavarria. SALEM, Mass. — Angel Echavarria, who served 21 years of a life sentence for murder, cleared one more hurdle on the path to freedom for a crime he has always insisted he did not commit. The Essex County District Attorney's office confirmed yesterday that it will not appeal Judge David A. Lowy's decision overturning Echavarria's conviction and ordering a new trial. From day one, Echavarria, the father of five children, maintained that he was in prison for a murder he had nothing to do with. No physical evidence connected him to the crime; he was convicted based solely on shaky identifications, including that of one eyewitness who, as Judge Lowy noted, "demonstrated a marked lack of mental acuity over the course of trial." The witness couldn't tell time, height, distance, or his own age, and gave a description of the shooter that "was inconsistent with Mr. Echavarria's physique," noted the judge. The witness also repeatedly described the shooter as Puerto Rican; Echavarria, like the witness, is originally from the Dominican Republic. Judge Lowy cited in his decision expert testimony presented at Echavarria's evidentiary hearing in December that "there are significant differences in sounds and in meanings of words between Dominican and Puerto Rican accents," and that "the perpetrators spoke enough words such that somebody familiar with the Puerto Rican accent would accurately have been able to distinguish whether their accents were Puerto Rican." Echavarria is on a GPS monitor and cannot leave the state pending the Commonwealth's decision whether to retry or drop the case entirely. The Schuster Institute for Investigative Journalism investigated Echavarria’s case over the course of 10 years, unearthing valuable evidence that led the judge to grant an evidentiary hearing last year. See a timeline of the case here. Angel Echavarria leaves Essex County Superior Court in Salem, Mass., with his family following his release from prison May 18, 2015. He served 21 years of a life sentence before a judge overturned his conviction. SALEM, Mass. — Twenty-one years into a life sentence for a murder conviction that was overturned April 30, Angel Echavarria was set free yesterday at Essex County Superior Court in Salem. Judge David A. Lowy vacated Echavarria’s murder conviction and ordered him to wear a GPS tracking ankle bracelet until Essex County prosecutors decide whether to retry him, appeal the judge’s decision or drop the case entirely. Other conditions of Echavarria’s release include staying in Massachusetts and not applying for a U.S. passport. Echavarria is originally from the Dominican Republic. As soon as Echavarria was released from his shackles, the crowd of supporters applauded and he made his way to the courtroom door, stopping to hug his youngest daughter, Ishannis López, 22, who was six months old at the time of his arrest. From the beginning, Echavarria has maintained his innocence in the Jan. 7, 1994, murder of Daniel Rodriguez in a Lynn, Mass., apartment. Echavarria had been incarcerated in Massachusetts Correctional Institution in Concord. During the bail hearing the court staff verified with the Department of Corrections and with MCI Concord that Echavarria could be set free from the courtroom rather than return to the prison for a day while his release paperwork was being finalized. The bail hearing was delayed when the judge's clerk informed him that a request from immigration authorities that Echavarria be detained for 48 hours had just been filed. During a court recess the agent who filed the request was contacted and agreed Echavarria’s release with a GPS monitor would be sufficient. Family members have confirmed that Echavarria had a green card and was lawfully in the country. “I want to say thank you to everybody who made this happen,” Echavarria said outside the courthouse, gesturing to his lawyer, Leslie O’Brien, and the crowd of students and staff from the Schuster Institute for Investigative Journalism. Echavarria celebrated his release with a lobster dinner with family and friends. Essex County prosecutors have until June 16 to decide whether to retry Echavarria. They must decide by May 30 whether to appeal the judge’s decision to allow a new trial. Judge David A. Lowy overturned his murder conviction. Now will he walk free? After Superior Court Judge David A. Lowy found that “justice may not have been done,” on April 30 the judge granted a new trial in the case of Angel Echavarria, 48, who was convicted in 1996 of a murder in Lynn, Mass. Echavarria, who has always maintained his innocence, is scheduled for a May 18 bail hearing. Judge Lowy cited ineffective assistance of counsel in his decision to overturn the conviction and described the Commonwealth’s case as “weak.” Echavarria has been incarcerated in Massachusetts for the past 21 years for a crime he has always said he did not commit. The bail hearing, which is open to the public, will take place at 2 p.m. Monday, May 18, 2015 at Essex County Superior Court, J. Michael Ruane Judicial Center & Salem Trial Courts, 56 Federal St., Salem, MA 01970. Echavarria has been represented by attorney Leslie O’Brien and his claim of innocence has been investigated by the Schuster Institute for Investigative Journalism’s Justice Brandeis Law Project at Brandeis University. SALEM, Mass. — On May 18, Angel Echavarria will shuffle into a courtroom at Essex County Superior Court in Salem, his wrists and ankles shackled. That same day, after 21 years behind bars for a crime he has always said he did not commit, Echavarria may walk out of that courtroom a free man. On April 30, an Essex County Superior Court judge allowed Echavarria’s motion for a new trial, nearly 20 years after he was convicted of murder. 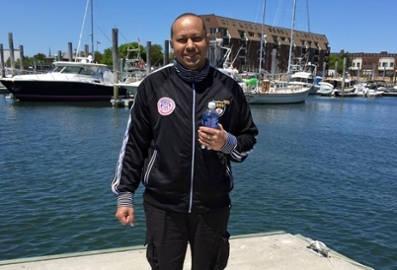 No physical evidence has ever linked Echavarria, 48, to the 1994 shooting death of Daniel Rodriguez in a Lynn, Mass., apartment. A jury returned a guilty verdict for both Echavarria and his co-defendant, but the trial judge immediately threw out the co-defendant’s conviction, citing a lack of evidence. Echavarria has always insisted on his innocence and says that he refused a plea deal prosecutors originally offered him. When the Schuster Institute for Investigative Journalism at Brandeis University took on Echavarria’s case as part of its Justice Brandeis Law Project, he had no attorney and had already lost his appeals. Since then, staff investigators and student researchers, using painstaking investigative journalism methods, have uncovered inconsistencies and problems: his first attorney’s failure to represent him adequately; discrepancies in the eyewitness testimony; evidence of an alternate suspect whom the police never fully investigated and the prosecution never revealed to the defense; and evidence of sloppy investigative practices. The Commonwealth of Massachusetts’ case relied on the eyewitness testimony of the victim’s brother, who could not understand time, height, distance, day of the week, what town he was in, didn’t know his own age, had a history of marijuana abuse, and had been drinking on the night of the murder. The eyewitness described the shooter as a 20-year-old, clean-shaven Puerto Rican male with a “stocky” or “chunky” build. Echavarria was a 27-year-old Dominican who was 5’10”, weighed 135 pounds and had a full mustache at the time of his arrest 10 days later. Convinced of Echavarria’s likely innocence by the Justice Brandeis Law Project’s meticulous investigation, the Massachusetts Committee for Public Counsel Services (CPCS) ultimately assigned attorney Leslie O’Brien to fight for his release. In 2010, O’Brien filed a motion for a new trial, citing, among other points, evidence uncovered by the Justice Brandeis Law Project. That same year, O’Brien successfully moved to have physical evidence in Echavarria’s case – telephone wires the shooter purportedly used to tie up one of the trial witnesses – tested for DNA. The DNA of at least two individuals was detected on the wires, and Echavarria was excluded as a contributor. Since Echavarria’s imprisonment, his five children have grown up from young children to young adults. His mother died while he was in prison, as did other close family members. He had never seen his 21-year-old daughter, his youngest child, until she came to one of his court hearings in May 2014. A former DJ, Echavarria worries that he’ll have trouble adjusting to technological advances of the past two decades. Echavarria’s supporters have created a GoFundMe page to help him with his short-term expenses. The Commonwealth has not yet announced whether it will appeal Judge Lowy’s decision, re-prosecute Echavarria, or drop charges entirely.